Air India Boeing 777-200LR VT-ALH at Paris CDG airport July 24, 2011. Photo copyright Sylvain Muglia. Used under CC license. Financially beleaguered national carrier Air India appears to have resorted to cannibalising its newest Boeing 777-200LR VT-ALH, currently stored at Mumbai airport, to service the remaining five 777-200LR aircraft its fleet, three of which are due to be delivered to gulf carrier Etihad Airways as part of a five aircraft sale deal. (Two 777-200LRs VT-ALA and VT-ALC have already been delivered. Read the story with photos.). In exclusive pictures obtained by Bangalore Aviation (scroll below), the once mighty and beautiful aircraft sits forlorn in a dilapidated condition, apparently stripped of many parts. These pictures bring back painful memories of the final days of Kingfisher Airlines which cannibalised many of its aircraft to service its remaining fleet. However, unlike Kingfisher, Air India has not even bothered to protect vital components like the cockpit and its wind-shields with silver mylar film. It is indeed a sorry commentary on how the airline is ravaging one of the newest aircraft in its fleet. Forlorn lady. 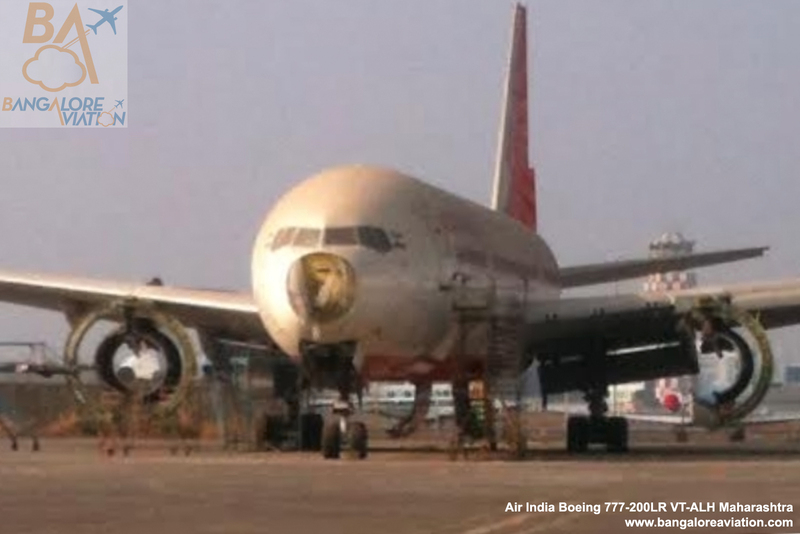 Air India Boeing 777-200LR VT-ALH in a dilapidated and stripped condition at Mumbai airport. VT-ALH is the newest Boeing 777-200LR in the airline’s fleet. 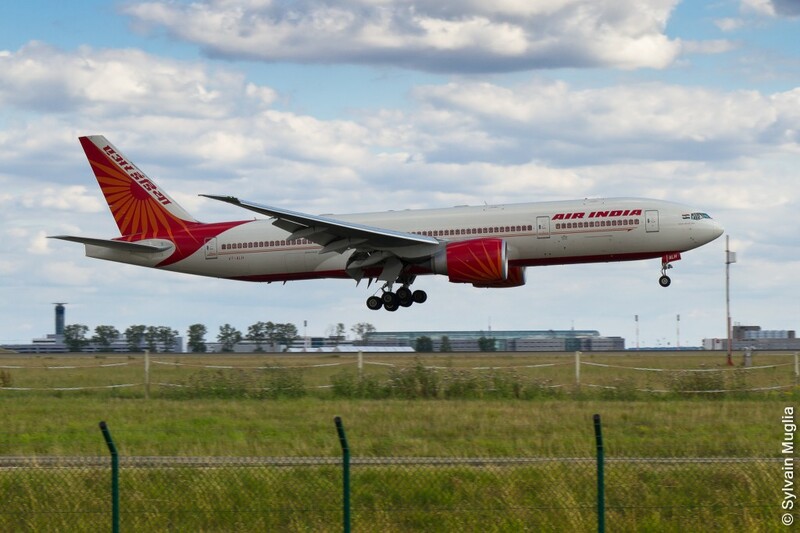 The brand new aircraft was put in to service by Air India only in September 2009, less than five years ago. The aircraft has been shown as grounded and in “storage” since 2012. 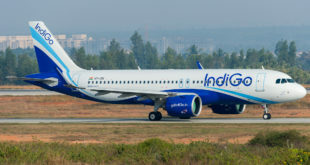 Rumours have been circulating that the aircraft suffered damage during a heavy landing at Mumbai. Air India did publish a tender for repair of a LH engine fan cowl on this aircraft back in 2013. 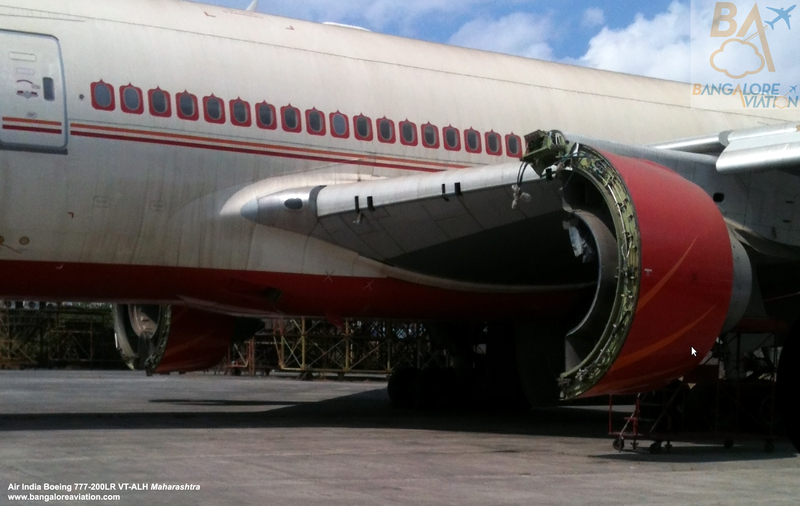 There are two more tenders on the Air India website for repairs for a 777 radome and a damaged GE90 engine cowl, but it is unknown whether these are for VT-ALH. It is to be noted, radome damage, normally due to bird hits, are quite common. The buzz in aviation circles say parts from VT-ALH were, and are, being taken to fit and bring to full specification the five 777-200LRs that have been sold to Etihad. We just cannot fathom why any airline would cannibalise a new aircraft to maintain a fleet of older aircraft. We repeatedly tried to contact the airline by e-mail, phone, and SMS, at the highest levels, for a comment on this story, but have been unsuccessful. Aircraft and ships are always referred in the feminine gender and appreciated for their beauty. It is painful to see this beautiful lady stripped and left to decay like this. Share your thoughts via a comment. Air India has responded to our story published below yesterday with a statement. Repairs of Engine cowling and randome [sic] are carried out as part of routine maintenance. Engines have been removed to meet aircraft engine combination and will be installed at the appropriate time. Out of 5 aircraft planned for sale to Ethihad [sic] airlines 3 have been delivered. Process of delivery of other 2 on the way. VT ALH is standing outside the hangar in view of the space taken by other aircraft. This aircraft will be attended after the delivery of the remaining aircraft. We have requested the airline to re-clarify whether the aircraft, VT-ALH has suffered any damage. 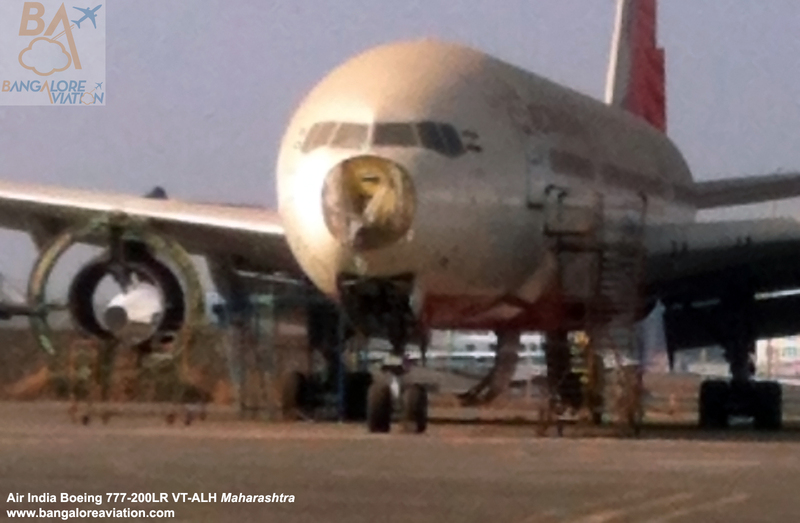 From airline tracking databases like planespotters the aircraft has been in storage in Mumbai since May 29, 2012. Planefinder shows the last flight performed by VT-ALH as AI112 from London Heathrow to New Delhi on May 28, 2012. 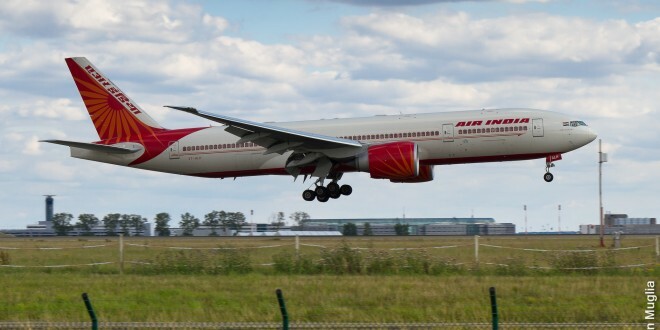 It is confusing why Air India would choose to ground its newest Boeing 777-200LR while continuing to operate its older LR aircraft. A newer aircraft will naturally have lower operating and maintenance costs. A logical reason would be if there was a problem with the aircraft as indicated by this tweet about a year ago. 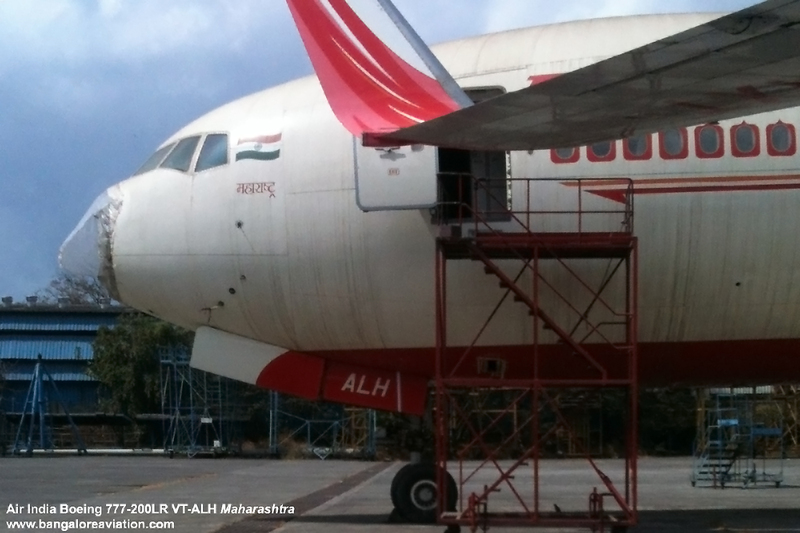 Air India’s B777-200LR VT-ALH, a 3.8 years old aircraft is being cannibalised for scrap parts after suffering a cracked undercarriage spar. The airline spokesperson has indicated that VT-ALB Arunachal Pradesh has also been delivered to Etihad Airways, joining VT-ALA and VT-ALC which were previous delivered as per our earlier report (read here).